You've seen it on practically the website of all wedding photographers from Adelaide and in magazines or newspaper. It seems that everyone wants to give advice to the couple on how to choose a wedding photographer. Most of what I have read are good and useful tips, but I thought it might be useful to write an article that explains this in more detail. 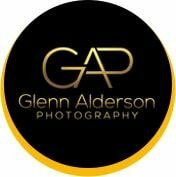 Many people face the problem in wedding including the photography, and here is the list of the mistake I feel that many grooms and brides commit when they select the wedding photographers from Adelaide. There is nothing more deceptive about a photographer's talent than looking at a sample wedding album that is a compilation of his best shots at 50 different weddings. An album like this can be useful to understand how big the image they can produce, but that's all it tells you. Ask them to show you an album of a complete wedding from beginning to end. This may be the worst mistake of all. Many wedding photographers from Adelaide exchange references with other wedding professionals without a real knowledge of each other's work. And yes, many times it is an honest reference based on working a few weddings with each other. You will spend all day with your photographer. If you do not get along with him or her, you can ruin what should be the happiest day of your life. Rude and bossy photographers can also cause problems with their guests. Find a photographer with whom it is easy to talk and with whom you can establish a good relationship. With digital cameras now practically in everyone's hands, it seems that there are many more "wedding photographers". The fact that a friend or relative is good with your new digital camera does not mean you can handle a wedding. You do not want your memories to turn to smoke along with a burned hard drive. Each photographer can tell you great things about themselves and therefore they should. But in your initial wedding consultation, look for photographers who are interested in your wedding. A good photographer will want to know the types of photography styles that interest him and what he is looking for in a wedding photographer. If you cannot understand the price or the packages, keep looking. The price of the package, if it is flexible, is the best way to go. However, an Adelaide wedding photographer who only offers strictly structured packages should also be avoided. Ultimately, you want to find someone who works within your budget with the quality and gives you exactly what you want. If you do not see a package that fits your needs, ask the photographer. Article Source: What are the Mistakes you should avoid while choosing the Wedding Photographer?